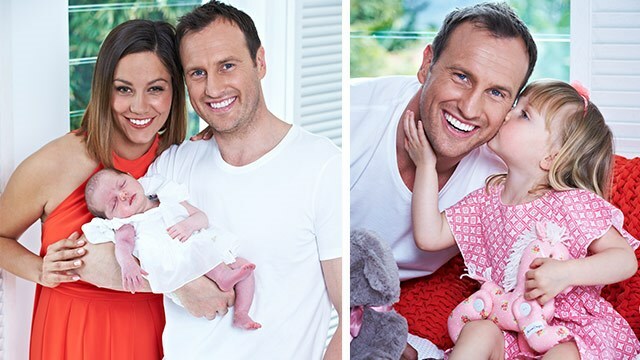 Former AFL star Jude Bolton, and his wife Lynette, welcomed their second child on September 11, and have named their daughter Piper. Piper Bolton joins big sister Siarra, aged 2; Siarra’s birth was covered on the blog. Jude played for the Sydney Swans, and retired at the end of last season. Since retiring, he has taken on a role in Channel Seven’s coverage of AFL, and was also a celebrity crew member on Perpetual Loyal in the 2013 Sydney to Hobart Yacht Race.